To date, BBMRI-ERIC has been awarded more than €7 million in additional funds thanks to its participation in the EU’s 7th Framework Programme and Horizon 2020. As its main goal, BBMRI-ERIC aims to improve the accessibility and interoperability of existing collections of biological samples from different (sub)populations of Europe, including both population-based and clinically-oriented sample collections. Including 20 Members, BBMRI-ERIC is a globally unmatched, Europe-wide platform for translational medical research with the aim to develop personalised medicine and disease prevention for the benefit of European citizens. The ADOPT BBMRI-ERIC (implementAtion anD OPeration of the gateway for healTh into BBMRI-ERIC) proposal aims at boosting and accelerating the implementation of BBMRI-ERIC and its services. CETOCOEN Excellence will exploit research capacities built in Central Europe with support from the European Structural and Investment Fund and develop a cutting-edge research platform capable of addressing major scientific and societal challenges in contemporary Europe in the areas of environment and health. To increase the number of clinically validated biomarkers, rather than further increasing the number of biomarker discovery studies, CliniMARK will improve the quality and reproducibility of studies and establish a coherent biomarker development pipeline from discovery to market introduction. CORBEL will establish a collaborative framework of shared services between the ESFRI Biological and Medical Research Infrastructures that transform the European research community from discovery of basic biological mechanisms to applied medical translation – through the provision of a unified interface, aligned services and coordinated user access to a range of advanced technology platforms. The overall goal of EDIReX is to establish a cutting-edge European infrastructure offering Trans-national Access (TA) of PDX resources to academic and industrial cancer researchers, including the distribution of cryopreserved samples to third parties, the structured biobanking of user-developed models, and the performance of efficacy studies. EOSC-hub builds on existing technology already at TRL 8 and addresses the need for interoperability by promoting the adoption of open standards and protocols. This project is set up by all existing ERICs to strengthen coordination and networking reinforcing the informal ERIC network or its successor framework; support the organisation of specific meetings, targeted thematic workshops focussing on shared challenges; support ERICs in preparation, based on best practices; support common communication and outreach activities and strengthening external representation of ERICs as a stakeholder in consultations and other policy actions that could affect them. euCanSHare will develop the first centralised, secure and sustainable platform for enhanced cross-border data sharing and multi-cohort personalised medicine research in cardiology. The role of BBMRI-ERIC in euCanSHare is to bring expertise in quality standards for data collection, presentation and evaluation, while ensuring its security and privacy, as well as the project communication and dissemination. Despite examples of excellent practice, rare diseases (RD) research is still mainly fragmented by data and disease types. Individual efforts have little interoperability and almost no systematic connection between detailed clinical and genetic information, biomaterial availability or research/trial datasets. By developing robust mechanisms and standards for linking and exploiting these data, RD-Connect will develop a critical mass for harmonisation and provide a strong impetus for a global ‘trial-ready’ infrastructure ready to support the IRDiRC goals for diagnostics and therapies for RD in close collaboration with the successful A/B projects. European and global research infrastructures (RIs) provide facilities and resources to support excellence and innovation, delivering socio-economic value by raising skills, advancing knowledge and technology and its exploitation, and driving new development and construction. RI-VIS will increase the visibility of European RIs to broader scientific communities, industry and strategic partners in third countries. The goal of AARC2 is to design an AAI framework to develop an interoperable AAI to enable researchers to access the whole research and infrastructure service portfolio with one login. CINECA’s vision is a federated cloud enabled infrastructure making population scale genomic and biomolecular data accessible across international borders, accelerating research, and improving the health of individuals across continents. CINECA will leverage international investment in human cohort studies from Europe, Canada, and Africa to deliver a paradigm shift of federated research and clinical applications. ConcePTION will build an ecosystem for better monitoring and communicating of medication safety in pregnancy and lactation: validated and regulatory endorsed workflows for fast, optimised evidence generation. CY Biobank project will commence in Summer/Autumn 2019. Its aims are to improve the integration, the efficacy, the production and the social impact of research on RD through the development, demonstration and promotion of Europe/world-wide sharing of research and clinical data, materials, processes, knowledge and know-how; and to implement and further develop an efficient model of financial support for all types of research on RD (fundamental, clinical, epidemiological, social, economic, health service) coupled with accelerated exploitation of research results for benefit of patients. 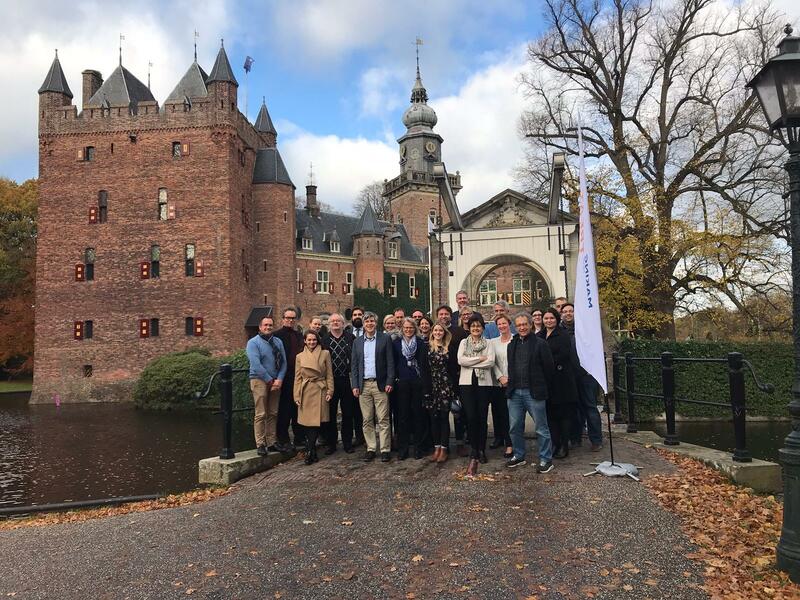 EOSC-Life brings together the 13 Biological and Medical ESFRI research infrastructures (BMS RIs) to create an open collaborative space for digital biology. The goal of the EOSC-Life project is to make sure that life-scientists can find, access and integrate life-science data for analysis and reuse in academic and industrial research. EUCAN-Connect will enable large-scale integrated cohort data analysis for personalized and preventive healthcare across EU and Canada. EUCAN-Connect platform and collaborations will be coordinated through BBMRI-ERIC (EU) and Maelstrom Research (Canada) to sustain long-term benefits to science and citizens worldwide. EPTRI is aimed at harnessing the research and services for the development of medicines for children as well as identifying gaps in paediatric medicines research preventing efficient use of research technologies across pertinent medicine research fields, from discovery and preclinical phase, all the way to ameliorate the therapeutic use of medicines in clinical practice. Sharing understanding of patients’ needs and concerted efforts in critical areas of research will end in further enhancing the health of children and will also have a positive impact on European competitiveness in the pharmaceutical sector. The overarching goal of RItrain is to identify the competency requirements for the leadership of European research infrastructures (RI) and design a training programme to fulfil these requirements. Our highest priority is those professionals who are already working in research infrastructures, including directors, coordinators, senior project managers, legal representatives, heads of Finance and HR, and heads of communication. Molecular in vitro diagnostics and biomedical research have allowed great progress in personalised medicine but further progress is limited by insufficient guidelines for pre-analytical workflow steps (sample collection, preservation, etc.) as well as by insufficient quality assurance of diagnostic practice. This allows using compromised patients’ samples with post collection changes in cellular and extra-cellular biomolecules’ profiles thus often making diagnostic test results unreliable or even impossible. Thus, SPIDA4P aims to generate and implement a comprehensive portfolio of 22 pan-European pre-analytical CEN/TS and ISO/IS, addressing the important pre-analytical workflows applied to personalized medicine. 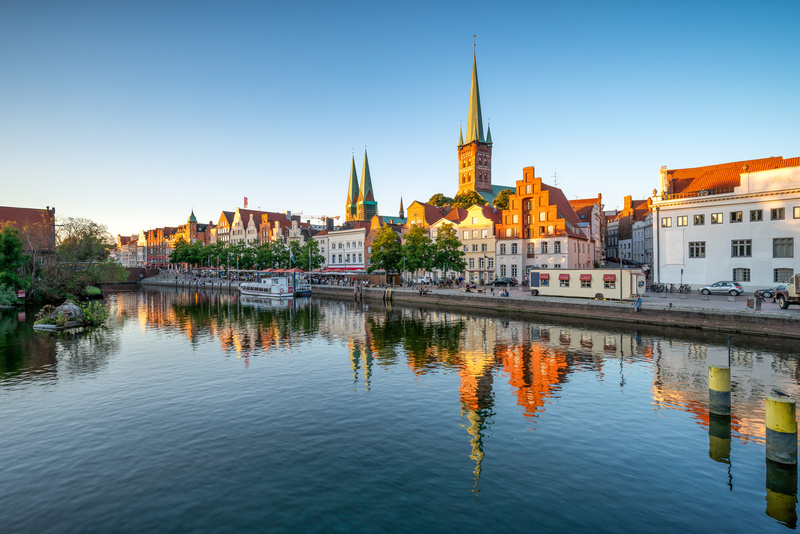 Europe Biobank Week 2019 will take place in Lübeck, Germany, from October 8 to 11. More details on the speakers, the programme, etc. will follow soon.